There are 2 major forms of Age-Related Macular Degeneration (ARMD). 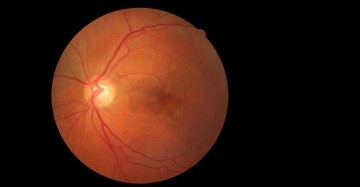 The dry form is characterized by drusen, pigmentary mottling and retinal and retinal pigment epithelial atrophy. The wet form is characterized by choroidal neovascular membranes (CNVM).